If you follow me on instagram most of you know that my baby Pharaoh and his papa are basically birthday twins, for this year we struggled between having the quintessential first birthday party with family and friends and just leaving the country for some peace and quiet. We of course chose the latter and decided to celebrate Pharaoh's first birthday in Haiti! In spite of what the media always shows, Haiti is such a magical place and very befitting for his first birthday. 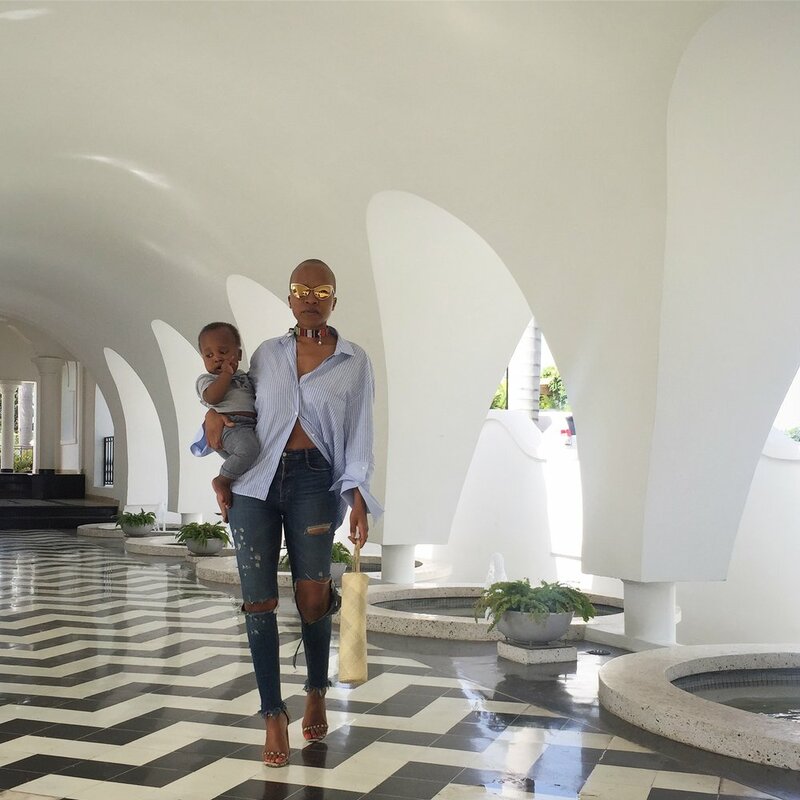 We spent most of our time devouring authentic Haitian food (as Miami dwellers it is definitely one of our favorite cuisines), visiting artisanal markets, and hanging out with friends. Our trip was amazing especially because my mother had just flown into town and tagged along for the ride. One of the things I find important when visiting a new country is learning about the culture and food. I make an effort when visiting the diaspora to learn how to make some of the authentic dishes, which is what I spent 2 weeks doing. I love learning about food and its connection as part of my career but definitely as a personal passion. Check out the fun we had below!